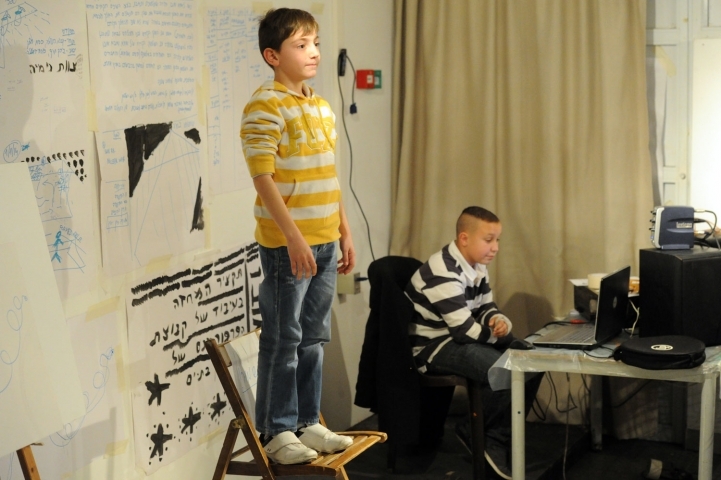 The First Children Performance Ensemble is an initiative by artist Daniel Yahel, who aims to introduce the children of Bat Yam to the world of performance art through this ongoing project. The ensemble’s activities blur the boundaries between education and creation, teacher and student, established artist and a potential future artist. 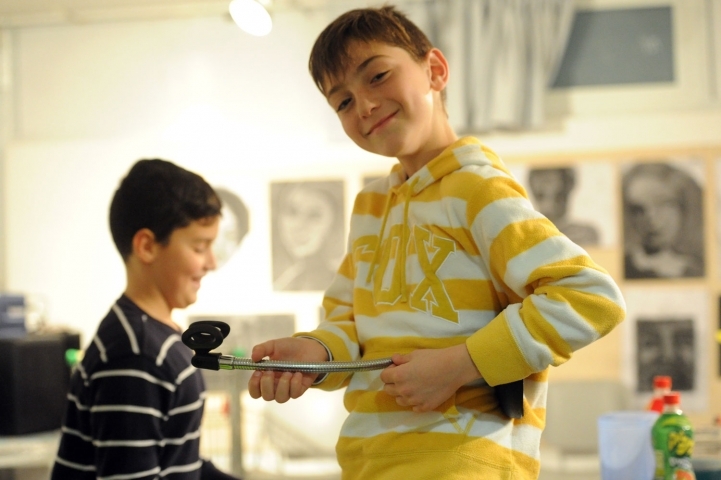 Over the course of two years, the group held regular meetings, working on various projects and organizing shows performed by children of the ensemble – all inside the museum walls. As Yahel explains: “The idea was to try and shed a different light on the educational achievement-oriented environment in which the children learn through tests and memorization. We’ve experimented with various forms of knowledge acquisition, including heritage quizzes.” The project was planned to culminate in an event similar to the International Bible Contest, yet with a twist. 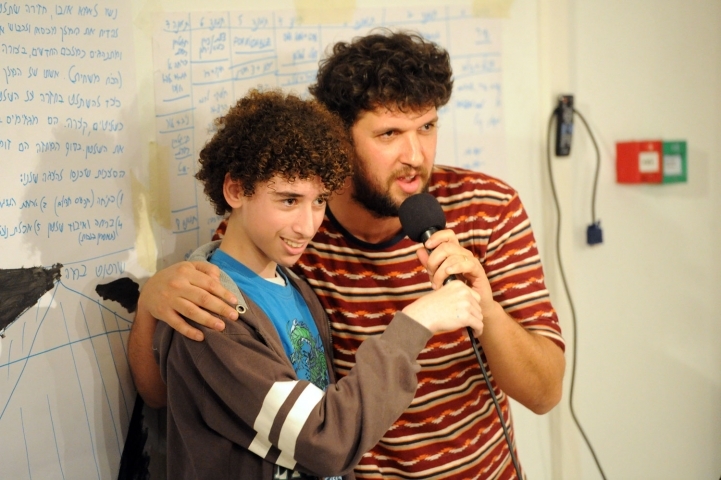 Inspired by a well-known comedy sketch by Israeli Lul Group, which mocks the typical scenario of the annual contest, Yahel took this opportunity to educate the local community about performance art – the history of the medium, its essence, and notable performance artists – through an alternative quiz, Yahel brought the children into to the museum and gave them a stage on which to enact their thoughts, so that together they created a performative event. “The quiz was amazing”, Yahel recollects, “the space was spectacular and with the help of Tal Alperstein, who played a central role in the early stages of the ensemble, we spent an hour of knowledge and humor, of dream and delirium, a theatrical event and a giveaway contest. The quiz consisted of multiple choice questions, a “Skype question” from New York, and more. The children and the audience didn’t know about my decision to devoid the points of any meaning. The instruction I gave the referee panel was to grant all 40 participants an equal number of points. 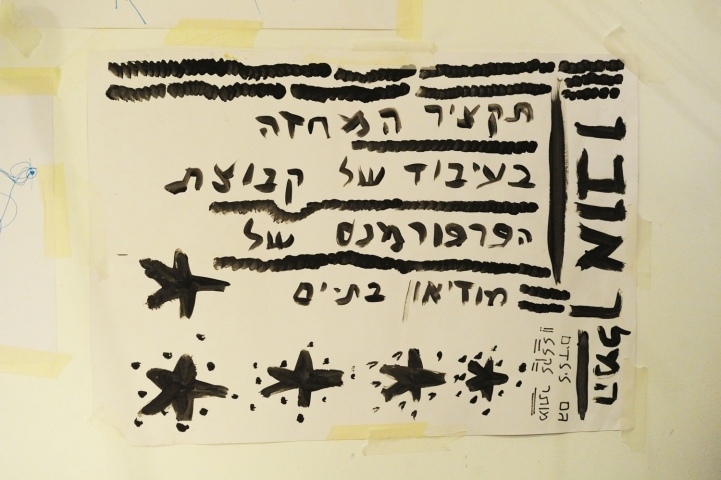 The prizes included a camera, a cellular phone, and a copy of the new book by Hadas Efrat. However, since the quiz ended in an all-around mass tie, we had to smash the camera and phone, and shred the book into 40 pieces, so that each participant left with a piece of camera, a piece of phone, a piece of book, and a small bag of Marmite (which is the stuff that performances are made of), all wrapped in a brown paper bag signed by the referees and myself”. Another project of the ensemble was to put on a play loosely based on King Ubu – a seminal play in the Theater of the Absurd, written by Alfred Jarry. Under the title What’s Left of King Ubu, the children created a freestyle adaptation of the play, which included singing, dancing, and cooking. 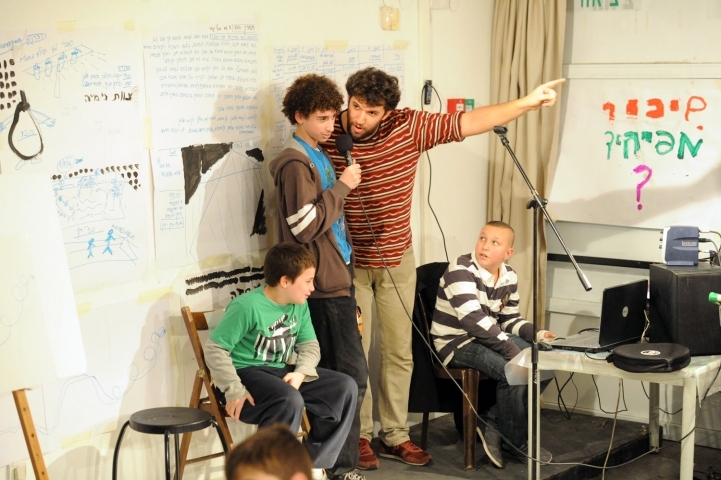 For Yahel, “blurring the boundaries between viewers and performers was the underlying concern of the play, which focused on the question: “what does King Ubu means to you?” Each child answered this question the way they saw fit, which in turn led to a wild jam session that illustrates the creative freedom of the child”.